For more than three decades, Thomas Hartmann has explored the materiality of oil paint and repeatedly shown how it can attenuate tensions between interior and exterior, massive and minute, visible and legible. Like many postwar German paintersfrom Anselm Kiefer to David SchnellHartmann pursues this investigation at the border of figuration and abstraction. Crystallizing his unique achievement, the seven large oils exhibited recently in Vienna concern the ubiquity and increasing homogeneity of storage in contemporary life. The canvases suggest shelves, hard drives, folders, books, crates. Even the edges of the paintings seem to measure and order their contents, structuring Hartmann’s preoccupation with the ways in which units of storage lend themselves to abstraction. 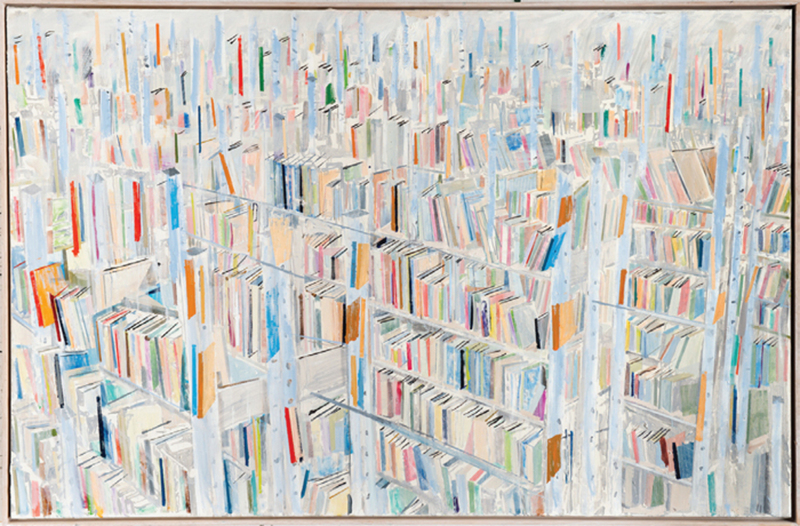 These paintings do not simply represent anxiety about storage: They analyze it.